Who is Horse Sense Solutions? Horse Sense Solutions utilizes prominent veterinarians and accredited laboratory to developed a revolutionary new concept to address the issues in maintaining the normal flow of digestion. Using Nature at its Core with Science at its Best. Why Do I need these products? Often, horses may have digestion difficulties by simple acts of severe weather change, change in their routine or an abrupt change in feed source. Our products provide a common sense approach to keeping the digestive tract flow moving appropriately. Just lift your horse's head upward and with the included open end syringe (like a wormer) squeeze in the horse's mouth and watch him swallow. Has a sweet taste! That's all there is to it! Unique formula promotes normal digestive “Flow" to assist with Normal Bowel Movements. Get Listed on our Site! Interested in selling our products at your store? We make it easy! You can simply register online to become a retailer for Horse Sense Solutions and get listed on our website. 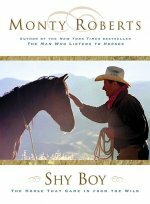 In our experience here at Monty Robert's Flag Is Up Farms we had 100% success with using SayWhoa!. We had several wild mustangs that we adopted from the BLM and three of them colic in the span of two weeks. We used your product and saved all three including one that was severe and thought to not survive. I highly recommend this product and would always keep a few bottles around for safeties sake. Reba Martinez - Horse Sense Solutions makers of product SayWhoa!